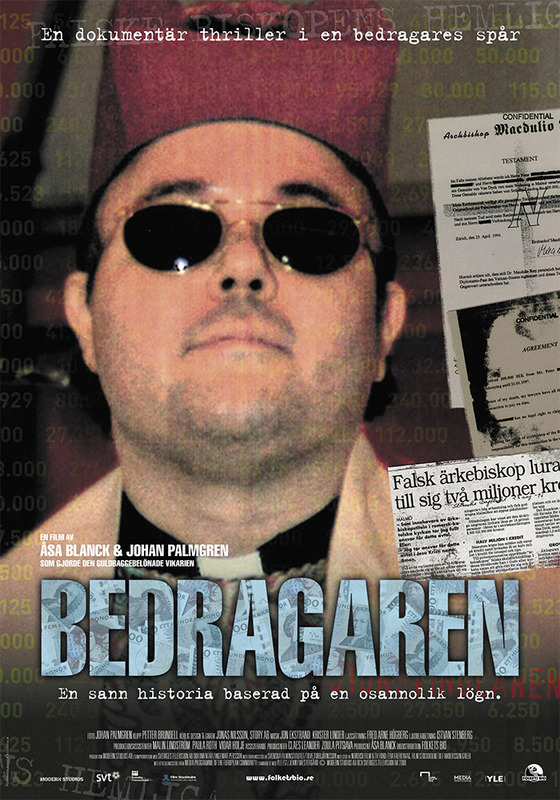 ”The Deceiver” / ”Bedragaren” is a 85 minutes documentary for cinema and TV. Photo and co-director Johan Palmgren. Producer and co-director Åsa Blanck. The Deceiver is a worldwide evocative depiction of a con man´s rampage. Where did he come from? How did he become so successful? This is also a story about the crack in our everyday life that we all long for; which allows a deceiver as Father Mac to operate. Leipzig International Film Festival, Leipzig, Germany, October 17, 2011. Wroclaw International Film Festival, Wroclaw, Polen, July 21, 2011. Hot Docs, Canada, April 28, 2011. Full Frame Documentary Film Festival, Durham, North Carolina, April 2, 2011.